Bishop Batten’s Christian Education began in the home from her parents teaching as they sat around the table learning bible verses and passages of scripture and at the church in Sunday school. At age 17, she was given her first opportunity to discourse publicly on a religious subject. She sermonize Joshua 24:15 "And if it seems evil unto you to serve the Lord, CHOOSE YE THIS DAY WHOM YE WILL SERVE." Since that time, she has endeavored to know the Word of God and to rightly divide the Word of Truth. However, preaching was not something she wanted to do but it was a call. Life has not been a bed of roses, nor has she had a silver spoon placed in her mouth. 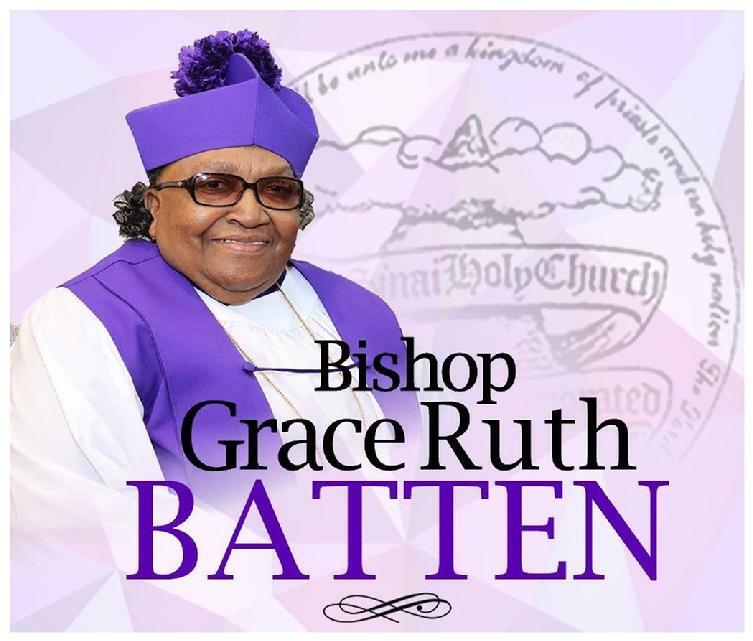 Bishop Batten has had her struggles (and yet does), disappointments, and let downs in her life. However, her strong support base has been and continues to be the Word of God. The scriptures that stay with her all the time are Philippians 4:13, 19 "I can do all things through Christ which strengtheneth me." "But my God shall supply all of your need according to His riches in glory by Christ Jesus." Past Board Member of the Sussex Family Y.M.C.A. "Awarded a Special Citation for Outstanding Service to the American Red Cross"
© 2019 Mount Sinai Holy Church of America, Inc. All rights reserved.